Daniel Pyne has become the new showrunner of Amazon’s Bosch. The cop drama, based on Michael Connelly’s novels, stars Titus Welliver as the detective. It was developed for TV by Eric Overmyer (Treme, The Wire) and is executive produced by Overmyer, Henrik Bastin (The 100 Code) from Fabrik, Pieter Jan Brugge (Heat), and Connelly. Welliver also serves as Producer. 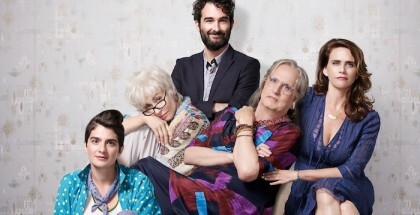 The programme has been one of Amazon Studios’ more successful original series. In the month after Season 1’s premiere, it became the most-watched title on Amazon Prime Video – a title that would later be stolen by current record-holder The Man in the High Castle. Season 2 swiftly followed, with Season 3 currently in production. 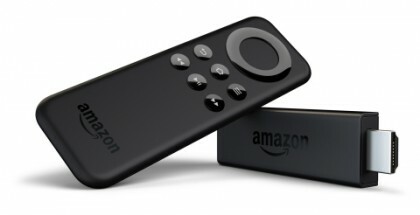 Last year, Amazon renewed the drama for a fourth run. Amazon has also been enjoying success with The Man in the High Castle, though. When that drama saw showrunner Frank Spotnitz step down, therefore, Overmyer was a natural choice to replace him. And so, while Eric remains an Exec Producer on Bosch, Amazon has found a new showrunner: Daniel Pyne. Pyne joined the series as an EP for Season 3 and has writing credits that range from The Manchurian Candidate and Pacific Heights to Sum of All Fears. He also experience with cop shows, working with frequent collaborator John Mankiewicz to create and produce The Street, a police procedural starring Stanley Tucci. Pyne and Mankiewicz’s TV work also includes Miami Vice. Mankiewicz will also be an EP on Bosch, following four seasons of the same role on Netflix’s House of Cards. Season 3 of Bosch is likely to premiere later this year on Amazon Prime Video. You can catch up with our reviews here. Amazon has renewed Bosch for a fourth season. The detective drama, which is based on the best-selling Michael Connelly books, has been one of Amazon Studios’ more successful original series. In the month after Season 1’s premiere, it became the most-watched title on Amazon Prime Video – a title that would later be stolen by current record-holder The Man in the High Castle. Season 2 swiftly followed, racking up an average customer rating of 4.8 out of 5, with 84 per cent 5-star reviews. Season 3 is currently in production. The hour-long series Bosch stars Titus Welliver (Lost) as Detective Harry Bosch, Jamie Hector (The Wire) as Jerry Edgar, Amy Aquino (Being Human) as Lt. Grace Billets, Madison Lintz (The Walking Dead) as Maddie Bosch and Lance Reddick (The Wire) as Deputy Chief Irvin Irving. With the Season 4 renewal, Bosch becomes Amazon Prime Video’s longest-running original drama. “Prime members have loved following Detective Harry Bosch as he navigates difficult situations in his professional and personal lives, and we’re excited to let them know that even more is coming,” says Roy Price, Vice President, Amazon Studios. 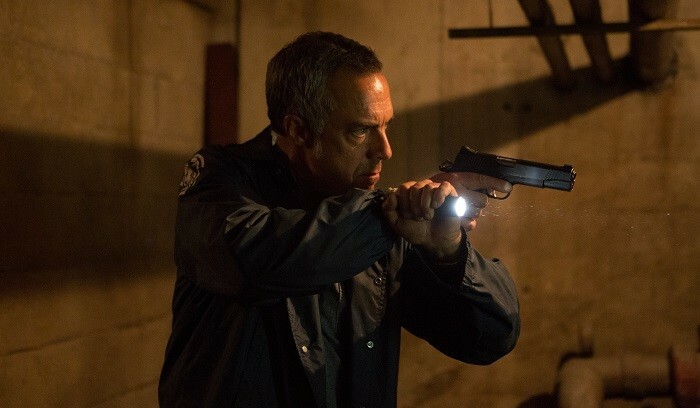 Read our interview with lead actor Titus Welliver. Bosch is produced by Fabrik Entertainment, a Red Arrow Entertainment Group company. It was developed for television by Eric Overmyer (Treme, The Wire) and is executive produced by Overmyer, Henrik Bastin (The 100 Code, American Odyssey, The Comedians) from Fabrik, Pieter Jan Brugge (Heat, The Insider, The Clearing), and Connelly. Welliver also serves as Producer. “Bosch has continued to exceed all of our expectations in terms of its US and international appeal, with the show proving hugely popular with audiences around the world,” adds Henrik Pabst, Managing Director at Red Arrow International. Season 3 will premiere in 2017 exclusively on Amazon Prime Video in the US, UK, Germany, Austria and Japan. Bosch Season 1 and 2 are available to watch exclusively on Amazon Prime Video, as part of a £5.99 monthly subscription.